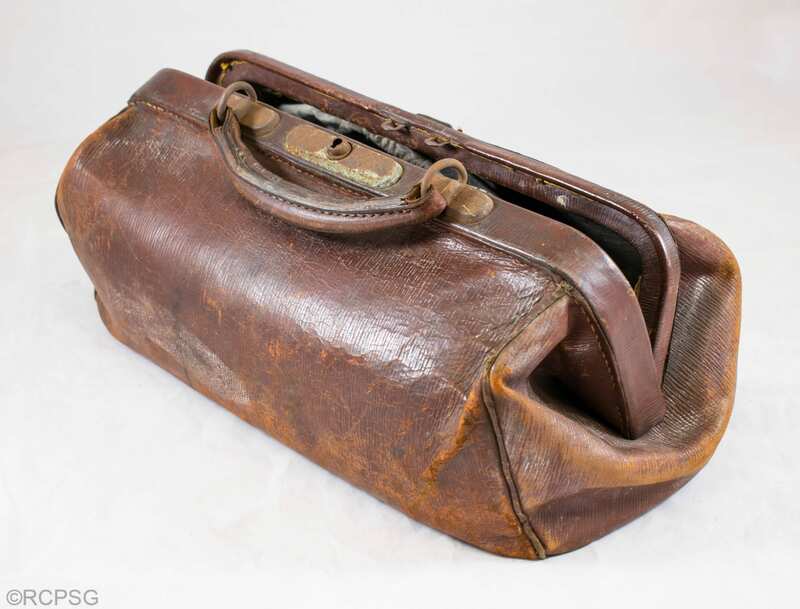 A recent focus of research for the digitisation project has been a medical bag dating from the 1930s. More specifically, the focus has been on the doctor who owned the medical bag, Dr. Maud Perry Menzies. Dr. Menzies earned her medical degree at the University of Glasgow, graduating in 1934. Not only was she one of the minority of females graduating from medicine at that time, but she was the top ranking student in Surgery, receiving the Sir William Macewen Medal for her efforts. Menzies had a passion for helping and healing members of the public, which was evident in her work as a general practitioner and a medical officer . The outbreak of war lead to the spreading of many infectious diseases across Europe, including Diphtheria. This is an airborne condition caused by the bacterium Corynebacterium Diphtheriae. An indicator of infection is the appearance of a grey membrane at the back of the throat, which can lead to breathing and eating problems. Due to its mode of transmission, diphtheria was particularly prevalent in major cities such as Glasgow. The child death rate in Glasgow was the highest in Europe at the time, primarily due to the crowded and unsanitary conditions of the slums . Thankfully, the vaccine for diphtheria had been in practice since the 1920s, so action could be taken to prevent the spread of the disease. 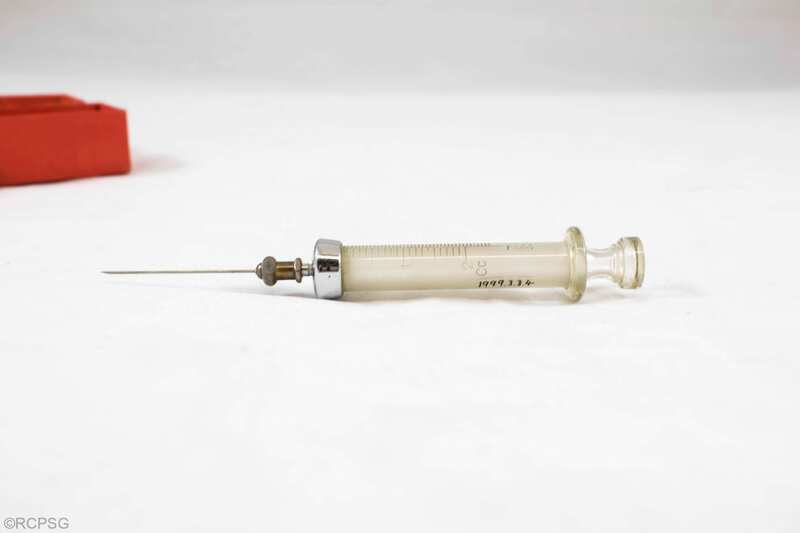 The vaccination would have been administered by an intramuscular injection using a syringe and hypodermic needle, such as the one pictured below (Fig 1). Other infectious diseases would have required multi-puncture vaccinations, with several needles puncturing the skin simultaneously. This method was accomplished using vaccinators (Fig 2.). 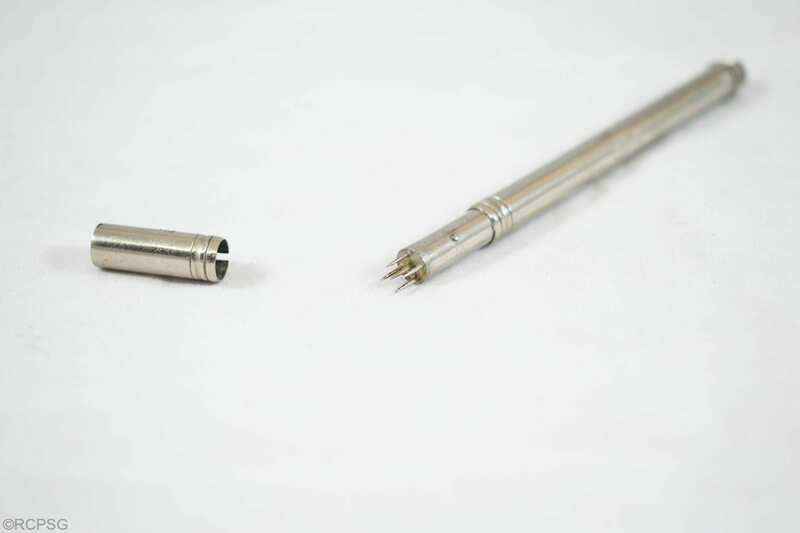 The needles were dipped in the vaccine, which would then be injected into the patient during the puncture. As an assistant medical officer of health, Dr. Menzies launch an immunisation campaign for diphtheria in Rutherglen. She also went on to work for the RAMC during the European Campaign of the Second World War, returning to Glasgow to become the principal medical officer for the school health service . Such was her drive for helping others. 1. Dunn, M., and Wilson, T.S. 1997. Obituaries: Maud Perry Menzies. The British Medical Journal, 2, 433. Hi Susan – yes, absolutely! Please email us at library@rcpsg.ac.uk to arrange a suitable time. I am Dr Menzies grand daughter and am keen to visit this well remembered bag. Would this be possible?